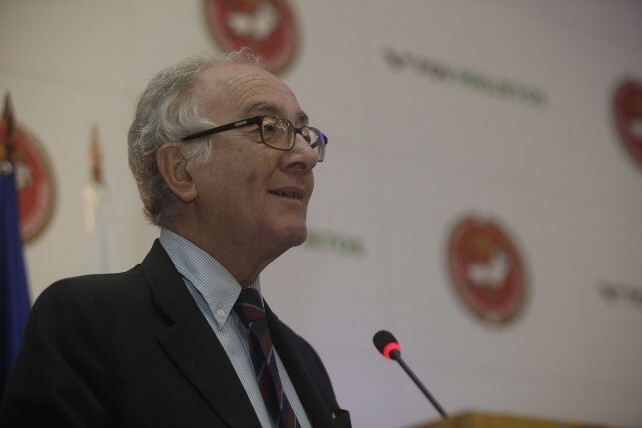 Jónatas Machado, Professor at the University of Coimbra, opened the event by presenting an international review of the evolution of constitutional powers. 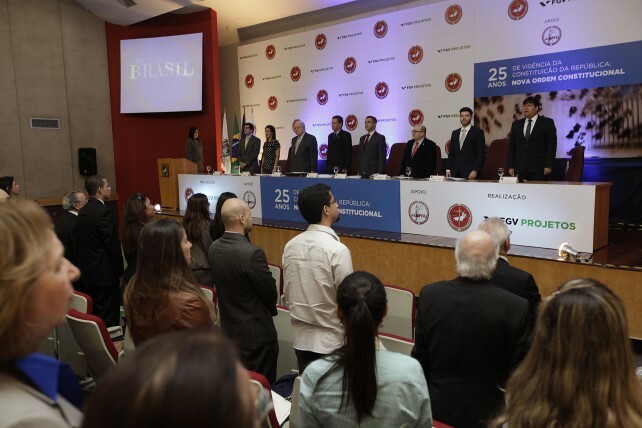 According to him, Brazil is a very important actor in discussions concerning global governance, powerful enough to influence decisions made on the international level. “The Constitution of 1988 can and must gain importance on the global scale”, he said emphatically. 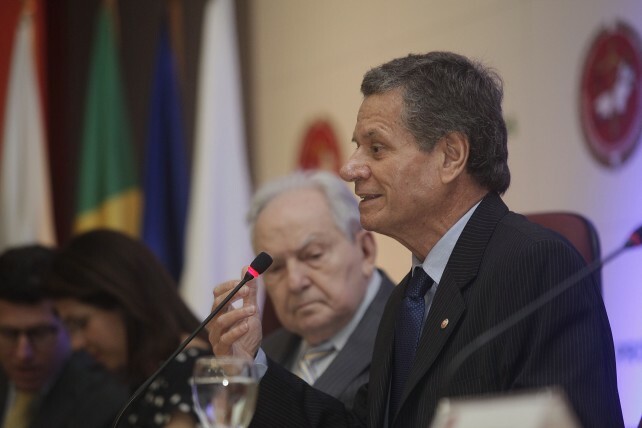 The seminar proceeded with the intervention of Bernardo Cabral, former Senator and General Rapporteur of the Constitutional Government in 1988, who presented his testimony on this experience, explaining the main difficulties and challenges in drafting a Constitution. The topic presented by the following speaker, Professor Luigi Ferrajoli of the Università Degli Studi Roma TRE, was an analysis of the responsibilities of the Public Prosecutor’s Office as an institution. 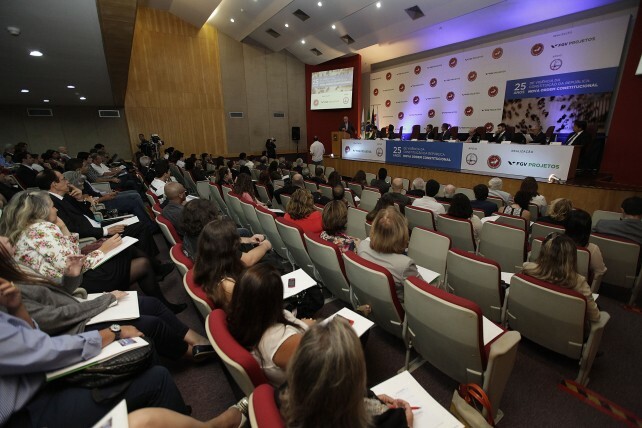 The seminar was also attended by Luciana Lossio, Minister of the Supreme Electoral Court; Ertulei Laureano de Matos, Assistant General Attorney for Human Rights; Marcio Guimarães, Rio de Janeiro State Public Prosecutor; José Roberto Paredes, Appellate Prosecutor and Coordinator of the Center for Extension Training (Ceaf) and President of the Foundation of Advanced Studies of the Rio de Janeiro State Public Prosecutor’s Office (Femperj); Leonardo Farias, Board Member of the National Council of the Public Prosecutor’s Office (CNMP); Luciano Oliveira Mattos de Souza, President of the MPRJ Association; Emerson Garcia, Rio de Janeiro State Appellate Prosecutor; Carlos Ayres Britto, former Minister of the Supreme Federal Court and Professor at FGV; Gustavo Binenbojm, Professor of the Rio de Janeiro State University (UERJ); and Jorge Miranda, Professor of the University of Lisbon. 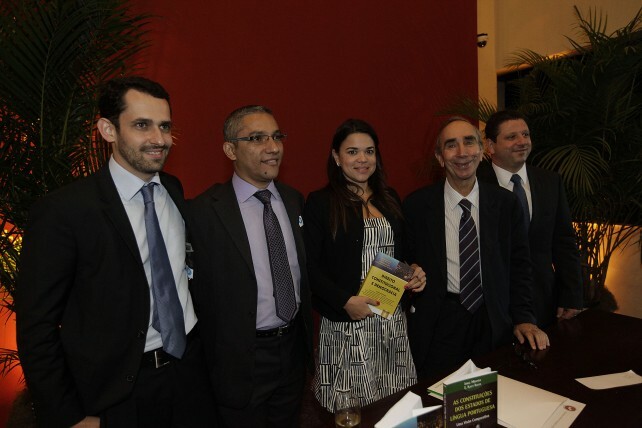 The event was closed with a reception and launching of the book “Direito Constitucional e Democracia” (Constitutional Law and Democracy), organized by Professor Jorge Miranda and coordinated by Appellate Prosecutor Joana Fernandes Machado.